Born in 1968, Norbert Rakowski is a graduate of the Acting Department of the State Collage of Theatrical Arts (1994). In 2001 received his diploma in Directing from the Academy of Theatrical Arts in Warsaw. Initially he studied music, but later abandoned this area when he was admitted to the Acting Department. Before graduating, he had debuted as an actor in the Warsaw theatres Szwedzka2/4 and The Small Theatre. At the National Overview of Theatrical Diploma Productions (Łód, 1994), he received the Theatre Critic’s Best Actor Award. In 1994 he joined a company of actors named the Współczesny Theatre in Warsaw. 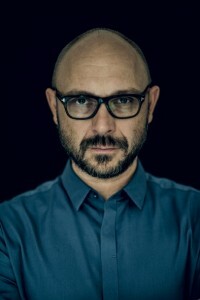 Later, he played several parts in TV Theatres and collaborated with a number of directors, including Filip Bajon, Izabela Cywińska, Krystian Lupa, Piotr Mikucki, Maciej Englert, Volker Schloendorf, Maciej Wojtyszko, and Andrzej Wajda. Since 1997, he has worked as an assistant director of TV theatres and a feature film (dir. F. Falk), and as a director of documentary films. In July 1999 he debuted as a theatre director with his original production Suddenly for the Studio Theatre in Warsaw, and in February 2001 he staged his diploma production of Robert Anderson’s Solitaire for the Współczesny Theatre in Warsaw. Since then, he has prepared more than thirty plays. From 2015 he is the General and Artistic Director of JK Opole Theatre.